I love talking about climbing in Europe and America, as rock climbing is my favorite sport. Whether you would like to try climbing for the first time or improve on your existing climbing skills, I can put together a personal plan tailored to your specific needs and ability. 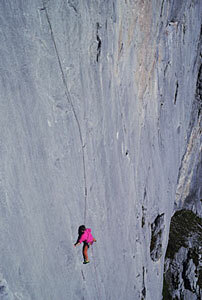 The climbing is beautiful: short cragging or multi-pitch bolted climbs. It's as safe as it can be. Just a small warning: these sorts of vacations can be addicting! 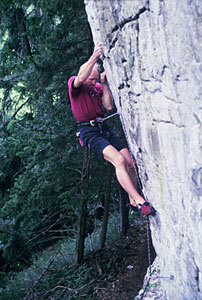 We guide many climbs around the Alps, ranging from multi-pitch to cragging in a rugged but safe environment. 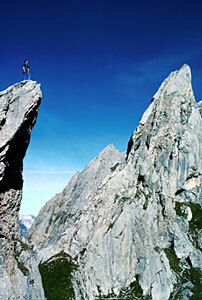 Climb in the natural beauty of the world famous Dolomites. 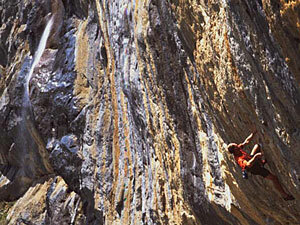 Experience the spectacular lines of the climbs done by Messner, Kosnter, Trenker, Kasnakoff and others. 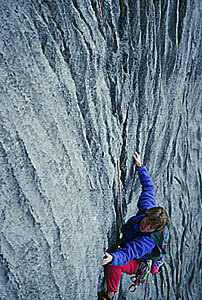 The climbing is amazing but the protection is very limited and route finding is very difficult. Get yourself a guide, so you can enjoy the climbs without the worry of route finding or being afraid. These are long multi-pitch climbs with easy descents via tram or short hike. Stay in the unbelievably nice huts where you can enjoy local food and Italian hospitality. 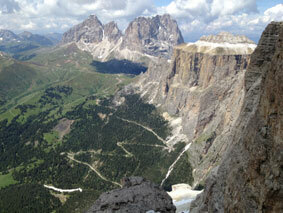 I also offer a via Ferrata (steel cables and steps in the rock face) week in the Dolomites. These classic long via Ferrate are left over from WWI when they used them to move troops around in the Sella area. Ask for more details. Local crag climbing as day trip. I teach climbing technique, you will be leading your own climbs in a safe set up rope skills and what comes up in your head. I will find the perfect location depending on your skills, weather temperature and find a quite cliff to maximize your experiences. Starting Cost: Starts at CHF 650.00 and or current peak fee. Meet at Sella pass where we will stay in a hotel called Refugio de Salain, which has a great view over the Sella pass area as well as the Marmelada. 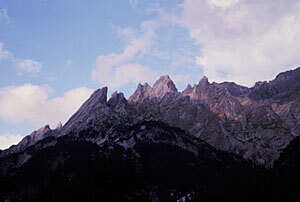 Climb the Sella traverse I-II. We can do a section of level III if we are moving well enough (Grade 4+). 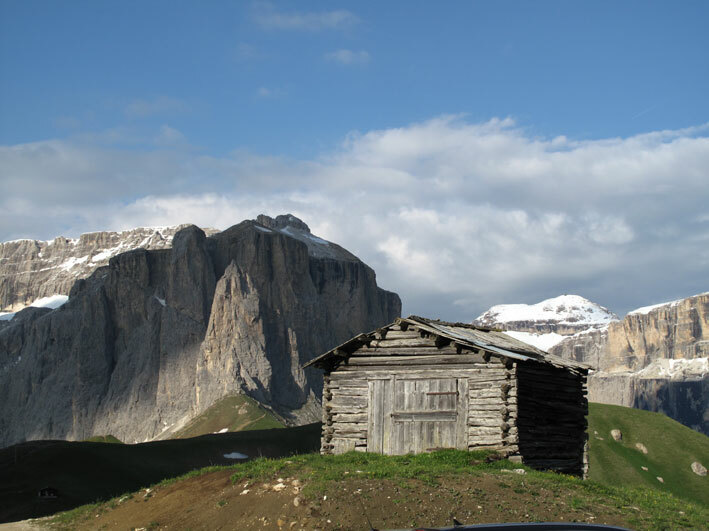 Hike to the Sella Pass and start climbing towers 1, 2 and possibly 3 as well. Rappel to the down climb and hike back to the hotel. Take a quirky gondola that looks more like a sardine can up to the start of the climb. 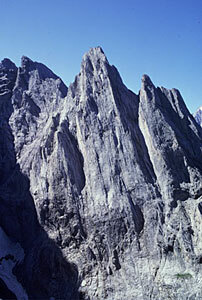 Climb the aesthetic Five-finger peak, "Pollice delle Dita," via the "Thumb", a 10-pitch, exposed ridge climb. Down climb and repel to the Selljoch hut and take the gondola back down. 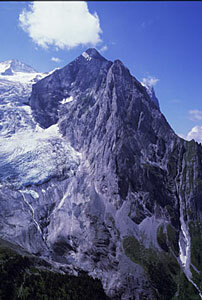 Drive to the Valparolajoch pass, hike to the base of the Hexenstein and climb 6 pitches up the south ridge ( Grade 5). On the descent to the Valpaole pass, there are many WWI trenches to investigate. Finally, we end at a WWI museum in an old fort. 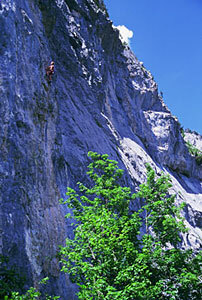 5-Day climb with half board: Cost CHF 4,450.00 or CHF 2,500.00 each for two persons. Starting Cost: CHF 650.00 and current peak fee. Includes instruction/ guide. Not included are overnight stay in hotel or hut and breakfast. 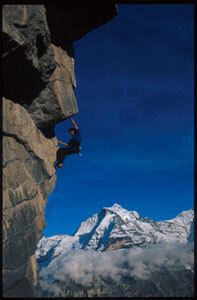 Expenses from the guide will be paid by guests during multi day climbing trips. breakfast, traveling during the tour. Why are expenses not included in private guiding fees? So we can charge you the true costs which are not based on a fixed price. This way you pay only for what you get, and there is no hidden cost in the price. 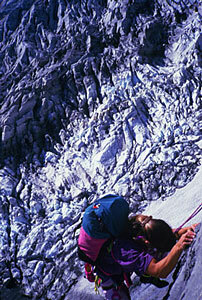 We guarantee an IFMGA certified mountain guide for all activities.